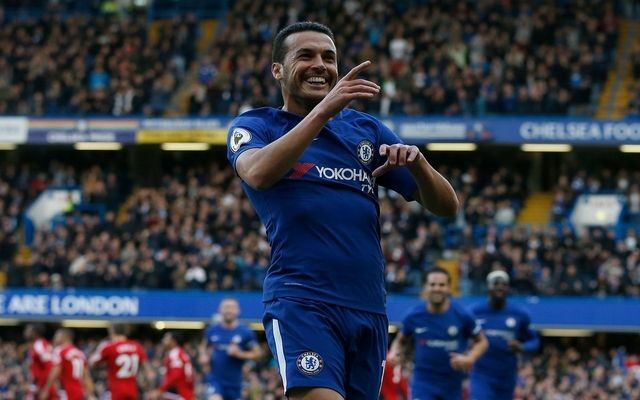 Chelsea forward Pedro was on the mark for his side in Saturday’s clash with Watford, and what a fine effort it was from the Spaniard. Latching on to a ball outside the box, he curled a brilliant strike in off the post to give the hosts the lead and hand them the perfect start to the game. The pressure is on both Antonio Conte and his players to pick up three points given that they’ve gone without a win in their last three games in all competitions, including consecutive defeats in the Premier League. In turn, a fast start was needed this weekend and they got that courtesy of Pedro who produced this moment of magic to break the deadlock. The Spanish contingent in this Chelsea squad are certainly having a positive influence so far this season, as noted in the tweet below. 11 of Chelsea’s 14 goals in the Premier League so far this season have been scored by Spaniards, with Pedro joined by Alvaro Morata and Cesc Fabregas in leading the way for the Blues as they look to get back to winning ways and put their troubles behind them.